This week was half term, so I’ve focused on fabulously frugal things that were fun for the children without breaking the bank. Being frugal doesn’t mean spending nothing at all, but I try to make any money we do spend stretch further. 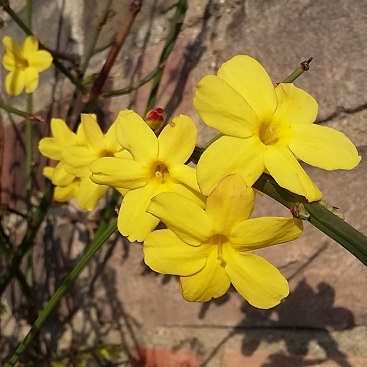 So for example we balanced free activities like country walks, gardening and baking with a day trip to London where we took advantage of offers and vouchers. School holidays are always a juggling act, with me trying to fit in some work round the edges, but here’s how we got on! OK so the Little Grey Rabbit book was more for me than any offspring. On the last day of term, my daughter and I did a quick scan of the charity shops while my son was at football after school. The children get a pound a week pocket money, and I try to divert them onto longer lasting purchases before we reach the sweet shop. 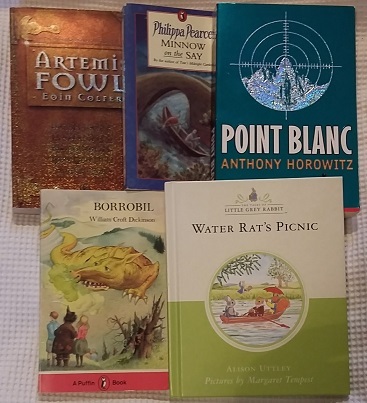 This time I splashed out on some children’s books at Hadleigh Thrift Shop, to help with entertainment during the half term holiday – a bargain at £1 for five! My daughter is a big David Walliams fan, so I also reserved a copy of his latest book, The Midnight Gang*, at our local library. It showed up just in time for our day in London, and kept her occupied on the train trip. Last year, I took out an offer subscription to Kitchen Garden magazine, at just £5 for three issues plus 20 packets of seeds. You even get extra seeds with each issue. If you’re interested, they’re actually running the same offer again – just remember to cancel in time, if you don’t want to pay £20 every six months afterwards. Sadly, the packets then just sat on the kitchen windowsill, wedged down the side of the radio. Anyway, my son declared that during half term he really wanted to sow some seeds. I asked him to read the back of the packets and find stuff suitable for sowing in February. 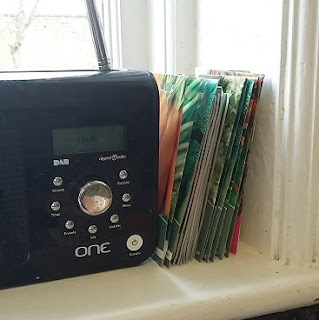 He piled potting compost into a cheap and cheerful windowsill seed tray I bought last year (like this £2.50 version from Wilkos), poked holes the right depth, dropped the seeds in, and insisted on watering them with a water pistol (as you do). I was chief packet opener, in an attempt not to scatter the remaining seeds everywhere. The seed tray is now ensconced on the kitchen windowsill, and we’re waiting to see if anything emerges from the carrot, kale, pepper, salad leaves and onions seeds in the tray. The next item on the half term schedule written by my seven-year-old son was a trip to explore the Railway Walk. It’s a nature reserve just near our house, along the route of (you’ve guessed it) an old railway line. 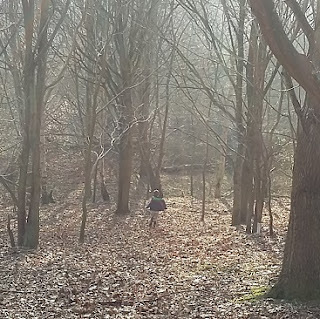 It’s great for dog walkers, runners and cyclists, and also children who want to explore the interesting side turnings, hills and hummocks. 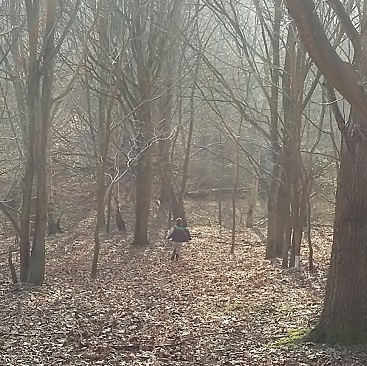 I let my son lead the way, along different paths through the brambles and gorse, and pelting down a hill between the oak trees. We discovered a brick tunnel we hadn’t tried before, and then found our way back to familiar routes. Good to get outside and all for no cost at all! 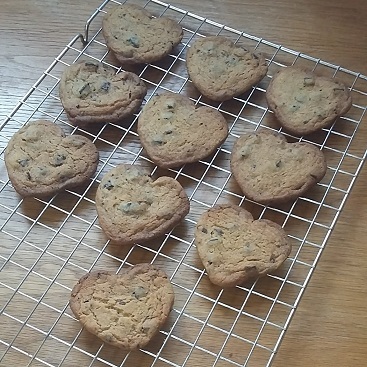 My son also insisted on baking some chocolate chip cookies, and as it was Valentine’s Day, we had a go at heart shapes. We used the tried and tested recipe at the end of this post, and mainly value range ingredients, which helps keep the cost down. They made my husband smile when he got home from work. Planning ahead can play a big part in living a more frugal life. 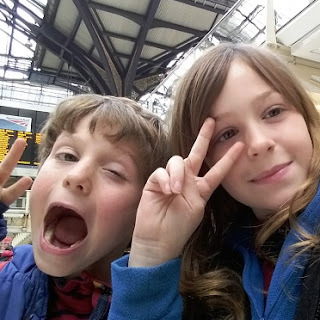 When Greater Anglia were running an offer for cheap off peak day return tickets during the week, I noticed the offer included half term, and booked to take the children for a day in London. So on Wednesday, the three of us took the train from Manningtree to Liverpool Street and back for the princely sum of £19. My son has been studying the Great Fire of London at school, so we walked round to see places he’d heard about like Monument, Pudding Lane and St Paul’s. If you travel by National Rail, you can save money at the Days Out Guide website with two for the price of one offers at loads of different museums and attractions. 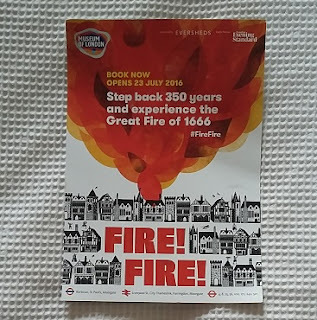 I had a look at the website before our day in London, and could have got two for one entry to St Pauls and the exhibition about the Great Fire of London at the Museum of London. However, the voucher for the Fire! Fire! exhibition could only be used at the ticket desk. I could see that the timed tickets were starting to sell out, so in the end I booked in advance online, to be sure we’d actually get in to the exhibition. At least the Museum of London knocked £3 off when booking for an adult and two children. So the 2 for 1 offers are worth checking – but not worth trying to save the cash if you miss out on something you’d really like to do! Currently, my kids are fixated on Japan. I blame YouTube and clips of vending machines and capsule hotels. 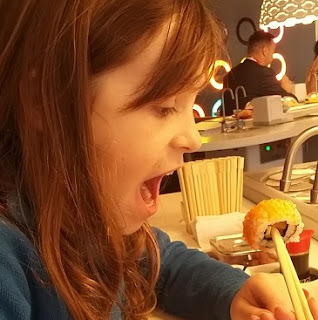 Anyway, they were really keen to try some Japanese food, so I promised to take them to Yo Sushi while we were in London, figuring they’d like the coloured plates and conveyor belt. Eating out in general, and Yo Sushi in particular, are not remotely frugal choices. However, this was a special occasion so I checked for any offers before we left – and printed out a voucher for a free katsu curry. We also packed crisps, drinks, fruit and yogurt tubes to take with us, to save elsewhere. If you know you’re going to be buying from a particular website, shop or restaurant, I figure it’s always worth checking if there is some kind of discount available. Almost wish I’d seen it myself. I’ve spread our cash savings across assorted current accounts, in an attempt to earn more than the minimal interest than we’d get elsewhere, including a Club Lloyds account. Lloyds was one of several banks to slash the interest paid on its current account recently, down from a maximum of 4% to 2% on up to £5,000. Boo, hiss, gnashing of teeth etc. However, it turns out that the “lifestyle benefits” we got when opening the account are actually an annual offer. We opt for six Cineworld cinema tickets, rather than an annual magazine subscription or Gourmet Society membership. Last year, we used some of the vouchers to see Kung Fu Panda III. This year, the vouchers were emailed just in time for half term. When my husband took a day of leave so I could work, he carried the kids off for a trip to Ipswich They enjoyed a jam-packed day, including visiting Ipswich Museum, letting off steam in the park and using vouchers to see the LEGO Batman Movie, which saved more than £24. Turns out a LEGO Movie and a happy meal from MaccyDs is pretty much as good as it gets when you’re seven and nine. 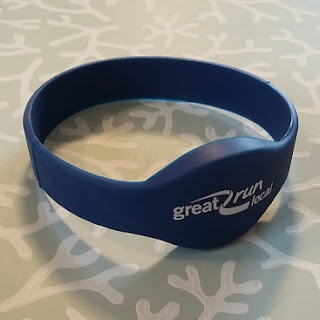 Free wristband from Great Run Local. 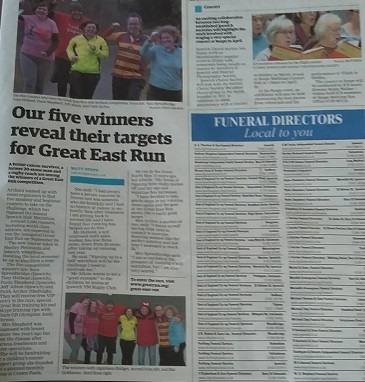 As mentioned in my post with an update on my get fit for less resolution, on Sunday I met the other winners of the Great East Run Challenge competition (waves to Jeff, Paula, Sara and Tony!). We all showed up at Needham Lake at hideously early o’clock to have our photo taken for the local paper, before the regular Sunday morning runs. Great Run Local runs are completely free, welcome both adults and children and if you register on the website beforehand, you will be sent a free snazzy wristband to record your time. At Needham Lake there are 2K and 5K courses, so even younger runners can get round. I was in a dilemma about whether to opt for the 2K or 5K route, as I hadn’t got far enough along Couch to 5K to complete a whole 5K. In the end I decided to do my Couch to 5K week 7 run along the 5K route before walking the rest. My family all came along in support, and my kids were keen to run part of the route with me. With my son, daughter, and Bridget, one of the organisers of Needham Lake Great Local, running alongside, I even managed to run the final part of the course after all. The fancy wristband showed that I covered the 5K in 38 minutes 57 seconds – but boy did I feel tired afterwards! The kids are now keen to complete their own run, so my husband has volunteered to accompany them on the shorter 2K in future. I duly increased the circulation of the East Anglian Daily Times the next day, when I bought a copy to see the article and particularly flattering photos. I even managed to a) find and b) remember to take one of the vouchers for the relaunched newspaper, saving an entire 25p off the 85p cover price. The article about the Great East Run competition appeared next to an ad listing local funeral directors – should I be worried??? On Sunday, I’ll be chatting to Georgina Wroe at BBC Radio Suffolk about frugal fitness. Tune in at 12.30pm for an update on Couch to 5K and other money saving ways to get fitter not fatter! Get Kids Pass for 60 days for just a pound! Here’s your chance to save money on children’s activities, by signing up for 60 days of Kids Pass for just £1 using this link*. 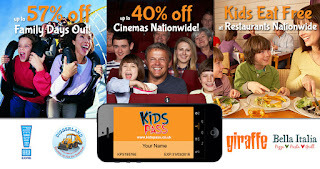 With Kids Pass, you can get discounts for you and your children at more than 5,000 places including cinemas, theatres, attractions, restaurants, family breaks and more. At only £1, it’s worth a punt to find out if you’ll use the membership to make real savings. Sign up now*, and the £1 trial stretches right over the Easter holidays too. 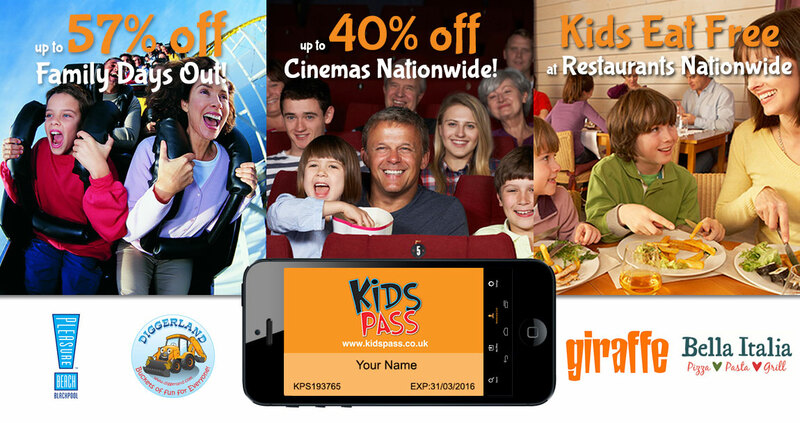 After the trial, Kids Pass will automatically renew at £39.99 for a full year’s membership, rather than the normal £75 annual rate. So do remember to cancel before the 60 days are up, if you don’t want to pay for membership afterwards. You can cancel at any time during the 60 days by calling 0161 244 8225, writing to KidsPass, emailing the customer service team or online in the Members’ Area of the Kids Pass website. Previous Post Get fit for less: be careful what you wish for! Just loved the running and funeral directors adjacent! What lovely days you are having with the children! Thanks Alice! Took Is to the pool for the inflatable session yesterday, great relief now she's old enough to go in the water without me. Thanks for letting me know, duly tweaked the text to be less irritating! Glad you liked it, thanks for sharing, and good luck surviving your half term! youve been so good with your frugal week. Advance planning is deffo key to saving money. I love your heard shaped cookies, baking is a mus for half term week. 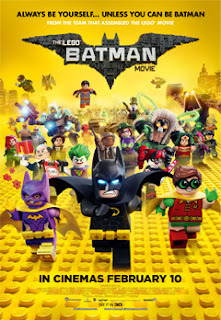 What did you think of the Batman LEGO Movie? Both kids (7 and 9) loved it. Think my husband went in with ver high expectations, but he did find parts of it funny too. Good family film I reckon, rather than something like Alvin & the Chipmunks that you fight to avoid and then grit your teeth to endure. Those biscuits look absolutely delicious – 2 please! Oh my goodness, you've been brilliant with your savings! Currently gnashing my teeth at the mention of Club Lloyds – I've been meaning to change my account over (mostly for the cinema tickets) ever since they brought it out. Must get on to it!